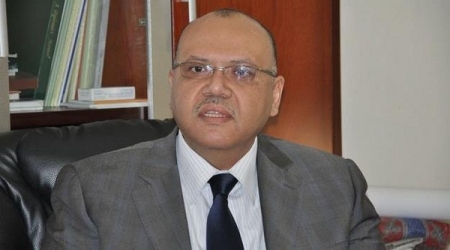 "The Egyptian authorities’ conduct at the Rafah crossing will remain as it is,” said Egyptian ambassador to the Palestinian Authority Yasser Othman, pointing to the limited traffic of Palestinian passengers at the border. “The Egyptian authorities will open the Rafah crossing whenever there is an urgent need for that," Mr Othman told ALRAY on Monday morning, citing the shaking security situation in the Sinai Peninsula. He pinned the betterment of Gaza conditions on the fulfillment of the Palestinian reconciliation “numerous problems that afflict the Gaza Strip will be radically solved if reconciliation between the two Palestinian movements [Hamas and Fatah] is achieved,"
The Egyptian ambassador blamed the silent international and Islamic community and human rights organizations for the poor humanitarian situation in the Gaza Strip. “Egypt deals with other parties according to three determinants: mutual respect, maintenance of common interests , and non-interference in internal affairs.” Othman added. The Rafah crossing has been closed for the third day after being exceptionally opened on Tuesday, Wednesday, and Thursday. The crossing saw frequent closures since the Egyptian military deposed the freely-elected President –now detained- in a coup against his rule in early July 2013. Since then, Egypt has repeatedly closed the Rafah border crossing and destroyed hundreds of tunnels that Gazans had used for years to bring in fuel, building materials, and other goods. The Rafah crossing has been the principal connection between Gaza's 1.7 million residents and the outside world since the imposition of an economic blockade by Israel beginning in 2007. 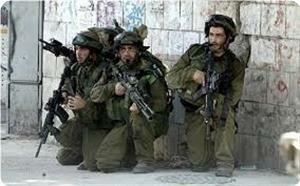 Israeli occupation forces (IOF) have continued their siege of Yabad village, south of Jenin, for the 9th day running. 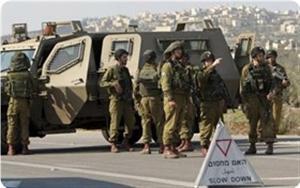 Local sources said that the IOF soldiers had closed all entrances to the village and barred traffic in and out of it. They said that the soldiers also continue to occupy the home of Subhi Abu Bakir for the fourth day at the pretext of monitoring youngsters in the village, which led to daily confrontations between those soldiers and the young men. Samer Abu Bakir, Yabad municipality chairman, told the PIC reporter on Monday that the soldiers were imposing mass punishment on the village inhabitants. He said that the soldiers persecute villagers at all roadblocks surrounding the village, adding, “We are paying the price for the presence of settlements on our land”. The mayor charged settlers with creating tensions then the IOF blames the village youths for their reaction to the settlers’ hostile practices. An old man from the village died on Sunday due to the soldiers’ delay in allowing him to pass a roadblock at the village’s entrance en route to hospital. Gaza's sole power plant began to function as normal after Israel reopened the Kerem Shalom crossing on Sunday, allowing shipments of diesel fuel to enter the Strip, a Palestinian source said. Raed Fattough, who coordinates the entry of goods into the Gaza Strip, told Ma'an that shipments of diesel and gasoline entered Gaza early Sunday, after which the power plant began running on the basis of eight hours on, eight hours off. Israel also allowed seven truckloads of strawberries and a one of cherry tomatoes to exit Gaza to be sent to Europe, Fattouh said, adding that "hundreds" of truckloads of commercial goods and humanitarian aid are soon expected to enter the Strip. 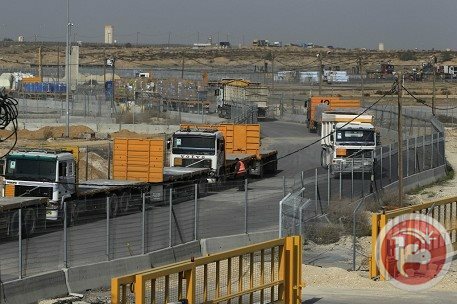 The Israeli authorities closed the Kerem Shalom crossing on Tuesday following an upheaval of violence, during which a Palestinian sniper killed an Israeli Civil Defense employee at the border and Israel hit Gaza with airstrikes, killing a 3-year-old girl and injuring several other Palestinians. 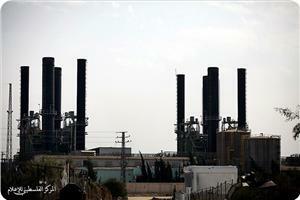 As fuel ran out, Gaza's power plant stopped functioning on Friday after operating for a mere 12 days. 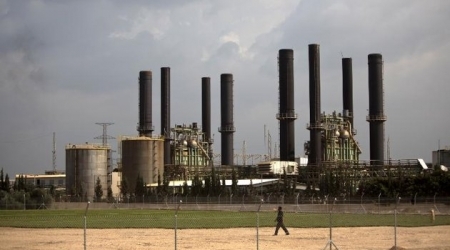 Israeli security sources told the Israeli news site Ynet on Friday that Hamas was responsible for the plant's shutdown, saying the Islamist movement was unwilling to pay the PA for fuel. But a Palestinian Authority official denied these claims, saying the fees for the current shipment of fuel had already been paid using funds donated by Qatar, as international media reported earlier in December. "It's all because Israel has shut down the Kerem Shalom crossing, and if they decide to open it tomorrow, fuel will be shipped into the Gaza Strip," Nathmi Muhanna, the PA's director of border crossings, said in a statement Saturday. Qatar donated $10 million for diesel fuel in response to a humanitarian crisis in the Gaza Strip that came to a head during a December storm that brought record snow and rainfall to the region. 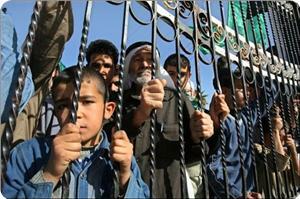 Between 10,000 and 40,000 Gaza residents were displaced due to the storm. Fuel shortages had caused daily life in the Gaza Strip to grind slowly to a halt in early November, cutting off access to basic necessities for Gaza residents. A crippling seven-year-old Israeli economic blockade on Gaza, in addition to frequent closures of the Rafah crossing with Egypt and the destruction of hundreds of smuggling tunnels, has effectively isolated Palestinians living in the coastal enclave from the outside world. The Egyptian authorities refused to allow on Saturday three solidarity delegations to enter the besieged Gaza Strip through the Rafah border crossing. Director of crossings affairs Maher Abu Sabha told the Palestinian information center (PIC) that the Egyptian authorities prevented an Italian and Jordanian delegations in addition to the aid convoy Miles of Smiles from entering Gaza. 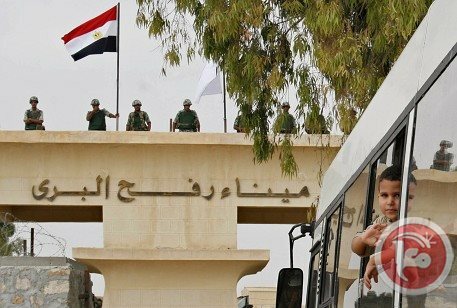 The Egyptian side had opened the Rafah border terminal from last Tuesday to Thursday and the movement of passengers went very slowly due to a malfunction of the computer system in the Egyptian hall, which led to the failure of some citizens to leave Gaza. In another context, Abdul-Sattar Qasem, a professor of political science at Al-Najah university, said that demanding Hamas by the Palestine liberation organization (PLO) factions to sever its ties with Egypt's Muslim Brotherhood at this particular time gives Egypt the green light to tighten its blockade on the Gaza Strip. Qasem added in a statement to the PIC on Saturday that the PLO factions intentionally incite Egypt against Gaza and its government when they asks Hamas to disengage itself from the Muslim Brotherhood in Egypt, warning that such position would increase the suffering of the Gaza population. "The leaders of Egypt are already pushing their country into an abyss and we should not follow their steps, but we have to advise them in order to curb such vengeful policies," he stressed. "We have known the Muslim Brotherhood for ages and it has no terrorist tendencies," he affirmed. Israeli occupation forces (IOF) on Sunday tightened their siege of Yabad village, south of Jenin, that has been in effect for the past week. Yabad municipality appealed in a press release on Sunday for urgent intervention to put an end to the siege and to allow free movement of inhabitants. It said that the municipality teams could not collect garbage because the IOF would not allow removing it outside the town, threatening health hazards. The municipality said that the soldiers were still occupying the home of Subhi Abu Bakir for the third day running and preventing its inhabitants from using it. The soldiers were also restricting movement of students, farmers, and employees. Israeli forces continued to besiege the northern West Bank town of Yaabad near Jenin for the sixth day in a row closing all the town’s entrances with military checkpoints and preventing residents from moving in and out. A Ma’an reporter says Israeli military checkpoints have been erected at the main entrance in the east and all side streets and agricultural roads. Residents have been prevented from leaving the town to their work or universities. Some people chose to take mountainous bypass paths to leave the town. A taxi driver, Ahmad Amarnah, told Ma’an that for the sixth day, Israeli troops stationed at the entrances to the town have prevented all residents from leaving. People who leave through mountainous roads could be stopped by Israeli soldiers at Dutan checkpoint, he added. Ali Abu Bakr, a student at al-Quds Open University, said he and five other students were detained for two hours on Saturday after they were caught trying to leave Yaabad through bypass roads. He explained that they were trying to catch up with their final exams. “We left (our) homes at 8:30 in the morning as we had a final exam at 11:30. We tried to avoid emergencies, but despite that an Israeli patrol caught us between olive trees and took us to Dutan checkpoint. 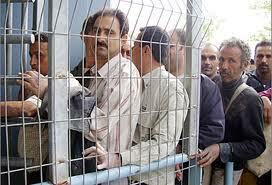 The students were set free only after the Palestinian liaison department intervened. They arrived late at campus, but they were allowed to sit for exams exceptionally, added Abu Bakr. Shop owner Mahmoud Badarnah says he has been trying to bring milk from Jenin and Nablus for five days, but he has not been able to enter. Popular Committee against the Siege warned of a real humanitarian disaster in the Gaza Strip due to the closure of Karm Abu Salem crossing, southern Gaza, and the prevention of entry of fuel to run the power plant. 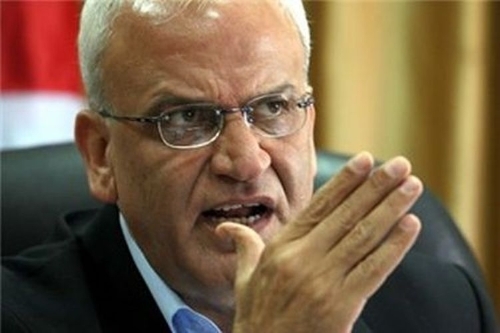 MP Jamal al-Khudari, at a news conference held in front of the power plant on Saturday afternoon, warned of an imminent disaster threatening the health sector in Gaza, and said: "Many patients are likely to die at any moment due to the closure of Karm Abu Salem crossing and the lack of fuel." He added that the telecommunications sector will also face a big problem and that the Gaza Strip will be isolated from the outside world, as the telecommunications companies will stop working. Head of the Popular Committee noted that 80% of Gaza factories stopped working while the rest are now working partially, adding that "the sector has become unable to export its products to Europe." He considered the closure of the crossings with the Gaza Strip "an Israeli decision sentencing Gaza people to death." The MP called on the world to take urgent action, shoulder its responsibilities and open the crossing in order to save innocent people. The Palestinian authorities in Gaza said the Israeli-controlled Karam Abu Salem crossing and the Egyptian-controlled Rafah crossing have been closed for days, with no indication if they would be opened soon. Ra'ed Fattouh, director of the coordination committee for goods movement in Gaza, stated in press remarks that the Karam Abu Salem crossing is closed for the fourth day running. Fattouh said the Israeli occupation authority (IOA) refuses to allow in goods, humanitarian aid and building materials for UNRWA's projects. He added that the IOA barred the entry of fuel shipments needed by the Gaza power plant. As for the Egyptian side, he asserted that the Rafah border crossing is still closed for the second consecutive day after it was opened for only three days. For his part, Maher Abu Sabha, director of the general administration of borders and crossings, said that there were contacts underway with the Egyptian side to urge it to reopen the Rafah crossing before the movement of passengers. Abu Sabha stated that an Italian delegation intends to visit Gaza on Saturday through the Rafah crossing and there are attempts to convince the Egyptians to facilitate their entry. A Palestinian Authority official on Saturday denied Israeli claims that lack of fuel in Gaza was due to tension between Fatah and Hamas. 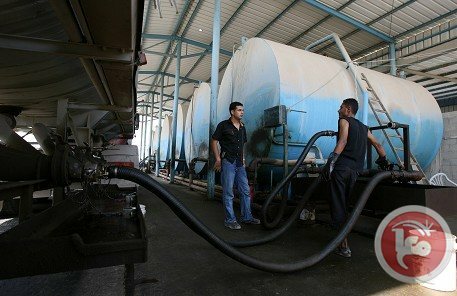 Nathmi Muhanna, PA director of border crossings, said in a statement that neither financial or political disputes with Hamas were behind the fuel shortage in Gaza. "It's all because Israel has shut down the Kerem Shalom crossing, and if they decide to open it tomorrow, fuel will be shipped into the Gaza Strip," Muhanna said. He said Israel has stopped a shipment of fuel into the Gaza Strip through the crossing, and that for solely that reason Gaza's power plant is out of commission. On Friday, Israeli security sources told the Israeli news site Ynet that Hamas was responsible for the plant's shutdown, saying the Islamist movement was unwilling to pay the PA for the fuel. But Muhanna said that the fees for this shipment of fuel from Israel had already been paid for using funds donated by Qatar, as international media reported earlier in December. Gaza's only power plant shut down Friday after running for a mere 12 days, as Israel closed the Kerem Shalom crossing and stopped shipping the already-purchased fuel. Electricity availability in Gaza then dropped from 12 hours each day to just six hours. Israel closed the crossing following an upheaval of violence in the the Gaza Strip on Tuesday, during which a Palestinian sniper killed an Israeli Civil Defense employee and Israeli forces killed a 3-year-old Palestinian girl in an airstrike attack. Fuel shortages had caused daily life in the Gaza Strip to grind slowly to a halt since early November, cutting off access to basic necessities for Gaza residents. 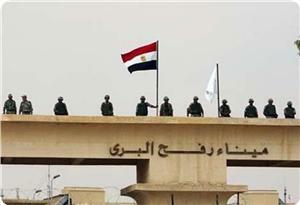 Egyptian authorities closed the Rafah crossing on Saturday for the second day in a row, a Palestinian official said. After being open from Tuesday through Thursday in an exceptional case, the crossing between Egypt and the Gaza Strip has now been closed two days in a row, the Gaza government's Director of Border Crossings Mahir Abu Sabha told Ma'an. Sabha said his department was trying to convince Egyptian officials to open the Rafah crossing for as long as possible, in order to ease the suffering of Palestinians in Gaza. After former Egyptian president Mohamed Morsi was ousted in July by the military, Egypt has repeatedly closed the Rafah border crossing and destroyed hundreds of tunnels that Gazans had used for years to bring in fuel, building materials, and other goods. The Rafah crossing has been the principal connection between Gaza's 1.7 million residents and the outside world since the imposition of an economic blockade by Israel beginning in 2007. The blockade has severely limited the imports and exports of the Gaza Strip and has led to frequent humanitarian crises and hardship for Gaza residents. Gaza's lone power plant came to a halt on Friday due to lack of fuel, days after it returned to life following a seven-week shutdown, the electricity company said. "The plant stopped working on Friday morning due to a lack of fuel caused by Israel's closure of the Karam Abu Salem crossing," said a company official. According to the official, the closure of the power station means that electricity supplies to Gaza would be limited to six hours a day as opposed to the usual 12 hours a day. The plant, which supplies some 30 percent of Gaza's electricity needs, had previously fallen silent on November 1 as stocks of diesel ran out. The power station returned to life on December 15 after receiving a delivery of fuel purchased from Israel by the West Bank-based Palestinian Authority using funds donated by Qatar. Israeli occupation closed morning the Karem Abu Salem crossing on December 25. Israeli occupation defence minister Moshe Ya’alon said that the decision is based on “security assessments” in a wake of recent escalation in the Gaza Strip, an Israeli media reported. Karam Abu Salem is the only commercial crossing in Gaza, through which goods, humanitarian aids and fuel supplies are partially entered. Israeli NGO Gisha, which lobbies for freedom of movement for Palestinians, accused Israel of carrying out mass punishment of civilians in Gaza by closing the Kerem Shalom crossing. "Israel can and must protect its citizens, but the timing of the closure and the statements accompanying it suggest that it is a punitive measure, primarily harming civilians and civilian infrastructure," said Gisha director Sari Bashi. "Just as international law forbids targeting civilians, so it forbids punishing them for acts they did not commit."